Following on from news that activist organisation GetUp! started a petition to deny Chris Brown entry to Australia over his violent past, the Australian government has today made statements suggesting they are considering the request. The petition states that allowing Brown to enter the country would send the wrong message to women, the US singer having been sentenced to five years probation in 2009 for brutally punching and strangling musician Rihanna, his girlfriend at the time. Addressed to Immigration Minister Peter Dutton, there has been no word yet from Dutton or his office on how they will respond to the petition. “People need to understand that if you are going to commit domestic violent and then you want to travel around the world there are going to be countries that say to you ‘you cannot come in because you are not of the character we expect in Australia’,” said the Minister today. Agreeing with GetUp!, Cash went on to explain how the Migration Act‘s stipulation that – anyone with a “substantial criminal record” can be refused a visa – could be used to deny Brown entry. She should know too, as it was Cash who in February of this tear denied boxer Floyd Mayweather a visa to enter the country because of his history of family violence. The pair were speaking together at an event announcing $100 million in funding to help prevent and combat domestic violence, where the Prime Minister outlined his commitment to the cause. “Violence against women is one of the great shames of Australia. It is a national disgrace,” he said, in comments described by some as ‘gamechanging’ in fighting domestic violence. Urging all Australians to get on board, he spoke of plans for a “cultural shift” toward respecting women as the first step in combating the nation’s domestic violence epidemic. women. But all violence against women begins with disrespecting women,” Mr Turnbull said. The funding will go towards a raft of measures aimed better protecting victims as well as education programs. Including trailing GPS trackers for perpetrators, special safe phones for victims, as well as additional funding for Indigenous family violence services, 1800 RESPECT and MensLine and a program which teaches school students about respectful relationships – the announcement was greeted with high praise from campaigners and victims alike. And for those who also believe that Chris Brown should be denied a visa, you can sign the petition at GetUp!’s website. Shout out to the legend fixing these posters in Melbourne. 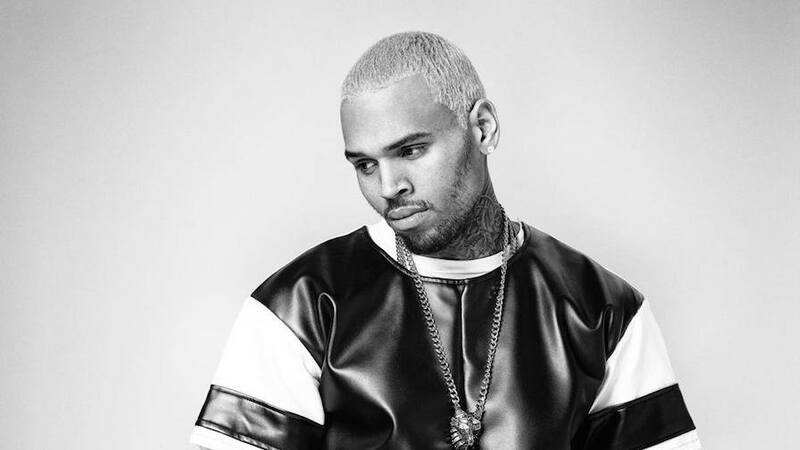 UPDATE 27/09/15: Chris Brown’s visa application to tour Australia has been formally denied on character grounds. He now has 28 days to appeal or to withdraw his application. UPDATE 02/12/15: Just a week before it was scheduled to kick off, Chris Brown’s Australian and New Zealand tour has been officially cancelled.